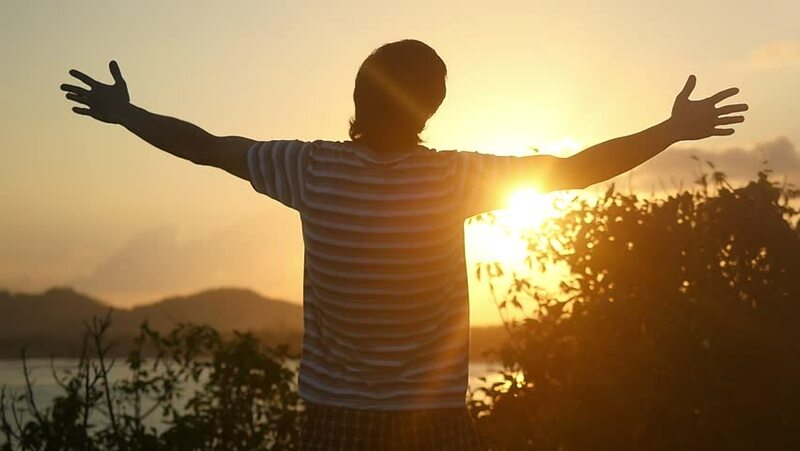 hd00:27Silhouette of person waling towards camera, raises his arms and hands to the vivid yellow sunny sky. hd00:08Silhouette of young sportive man practicing yoga at sunset. Slow motion.